Katherine Gonzales, born April 28, 1928 beloved Mother, Grandma and Great Grandma, passed away peacefully on November 5, 2018. She was preceded in death by her Husband of 54 years Antonio (Tony) W. Gonzales, Father and Mother John and Carmen (Nellie) Legits, Sons Andrew and Stevie Gonzales, Brothers Ted (Annie), Demosthenes, John Legits and in laws Joann Legits, Bob Stafford. Katherine worked in retail at Dunlaps for many years. 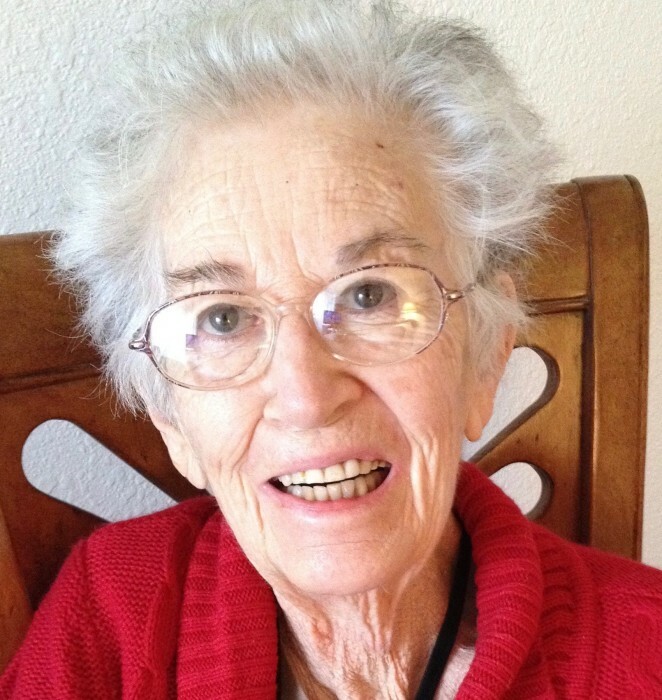 She enjoyed gardening and was a charter member of the Casa Alegre Garden Club. She was also a member of the Does. Her faith was a very large part of her life and was a member of the Alter Society at St John Catholic Church then at Cathedral Basilica of St Francis of Assisi. She is survived by her Son Philip Gonzales, Daughter Carmen Nothnagel (Richard). Grandsons Richard Nothnagel, Drew Gonzales (Mel), Nathan Gonzales, Granddaughters Susan Nothnagel, Kaitlin Pena (Victor), Great Grandchildren Nathan, Mariah and Sierra Gonzales, Sisters Mary Ladue and Venus Stafford and many other Nephews and Nieces. Rosary 11/8/18 at Berardinelli Funeral Home at 6:30pm, Mass 11/9/18 at Cathedral Basilica of St Francis of Assisi at 10:00am and Burial 11/15/18 at the National Cemetery at 11:15am. A special thank you to Ambercare and Vista Hermosa for the loving care given to our mom.